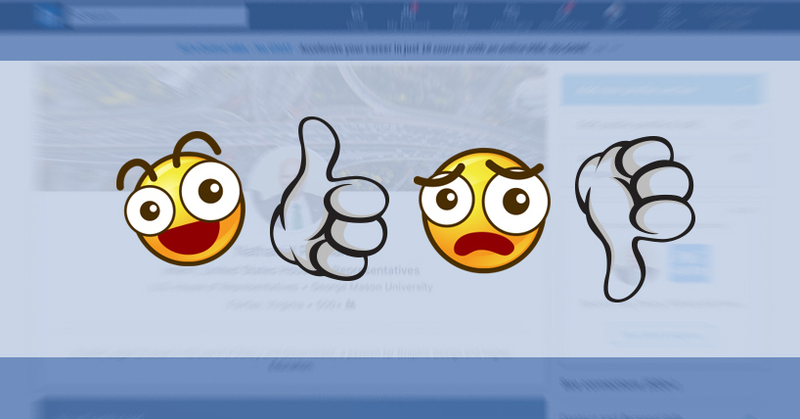 ProResource > LinkedIn > Should You Use Emojis on Your LinkedIn Profile? Should You Use Emojis on Your LinkedIn Profile? Second: You’re probably ahead of the game in your LinkedIn profile. While emojis have a place in several forms of informal communication and on most social media platforms, using emojis in your LinkedIn profile is often negatively construed by the viewer. Arguably more important than the fun and fast, emojis also convey the current emotions of the writer to the reader when the text is potentially ambiguous. Whew. My boss isn’t mad at me and all is right in the world. Emojis are great for messages on Twitter, Snapchat, Instagram, Facebook, and other types of informal communication such as Slack, one-off emails to coworkers, and telling your family you’re ordering pizza for dinner. LinkedIn is the outlier for emoji use, and for a good reason. 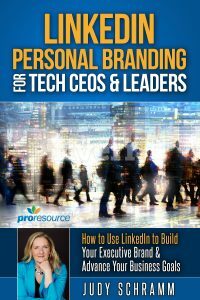 The entire purpose of LinkedIn is to present your most professional self to your peers, potential business partners, and future employees or employers. Adding emojis to your profile, especially in the headline, only detracts from your personal brand. Do you add emojis to your resume? 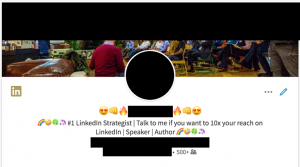 I would place my bets on “no.” Then why would you put them on your LinkedIn? If you are searching for a job, this is a huge red flag. Sure, a snarkily placed emoji in your Slack chat at work is great. Putting an emoji in your LinkedIn profile indicates you potentially don’t know where to draw the line between fun with friends and your job. Emojis, as they are used currently, are most often employed by Millennials and Generation Z. If you are young, you risk being judged as not mature enough for serious work. If you are older, you are in danger of being judged for trying too hard. What does this profile say to you? Well, for one, they really like emojis. But can you see past those to really take in the information in the headline? It’s difficult to wade through the sea of icons to really read what the person is saying professionally. Emojis provide visual clutter when they are placed somewhere that doesn’t need emotional clarification. This ultimately diminishes the purpose of having a LinkedIn account: to get noticed by the right people for your professional expertise. I don’t need to know that he or she is “overcome with the cuteness” of “fist bumping” “fires” or that “rainbows” drive them “crazy” for “lucky” “unicorns.” See how much can be lost in translation? I’m spending most of my time using my emoji Rosetta Stone to decipher what all those colorful little symbols mean instead of focusing on the real reason I clicked on the profile: the person’s connections and professional clout. The header image is of the individual speaking at a conference. 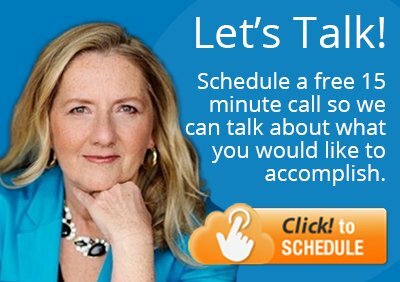 The header text says that this person is a speaker and an author. Now, that’s someone I could potentially respect as a thought leader in their field. Did you know that emojis mean different things across age groups and in different countries? If you have potential clients or recruiters overseas, or more likely, in different age groups, you might be communicating an unintended or negative message if you use emojis. This doesn’t seem ambiguous to a native English speaker, but including the smiley face in a message to a Chinese reader indicates you are being sarcastic. What was meant as praise quickly turns into an insult, and your professional relationship with the reader is now damaged as a result. It is my professional opinion that emojis should be left out of LinkedIn profiles. 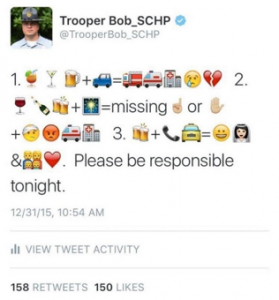 Do you agree, or are emojis the lifeblood of your professional persona online? Leave me a message in the comments.